The Benbecula Golf Club is a naturally flat golf course close to the village of Balivanich. Just like other golf courses in the Outer Hebrides, visitors of the Benbecula Golf Club can enjoy breathtaking views of the spectacular landscape and the Atlantic Ocean but they can also enjoy the game on a slightly different setting due the earlier mentioned natural flatness. 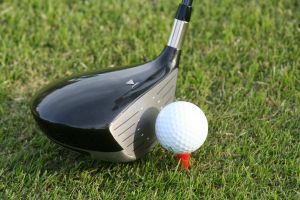 The 9-hole golf course with 18 tees isn’t as famous as other Outer Hebrides golf courses which makes it an ideal choice for golfers who are looking for scenic place to play the game and take their time to enjoy each swing. History of the Benbecula Golf Club is closely intertwined with the military. 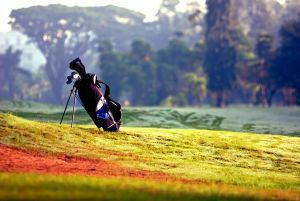 The today’s golf course dates to the mid-1980s when RSM John Ransome and his golf loving colleagues designed a 9-hole golf course (called the RA Range Golf Club) that changed little over the following decades. Soon after Ransome designed the 9-hole course, it was opened to the civilians but the golf club became civilian only in the 1990s when it was also renamed The Benbecula Golf Club. The Isle of Benbecula is one of the larger Outer Hebrides islands, situated between the South Uist and North Uist to both of which it is connected by causeways. It is a captivating place which astounds its visitors with spectacular scenery, diverse wildlife and impressive historic attractions, offering a unique blend of natural beauty and historical landmarks. Finding a place to sleep on the Isle of Benbecula shouldn’t be difficult as there are several hotels, self-catering holiday homes and other types of accommodation that meet just about everyone’s preferences. Since The Benbecula Golf Club is located nearby Balivanich which is the main centre for the Isle of Benbecula as well as for the isles of North and South Uist, you can choose between many establishments just minutes from the golf course. You have two options to get to the Isle of Berecula. You can either take a flight from Glasgow (there are daily flights) or travel to the isle by sea. However, keep in mind that there are no ferries from the mainland directly to Benbecula. To reach the island, you can travel either from Oban to South Uist or from Uig to North Uist.